The plantation sector provides a significant share of Sri Lanka’s national economy. The population serving in this sector consists mainly of Tamils of Indian origin, descending from persons brought from South India during British rule. 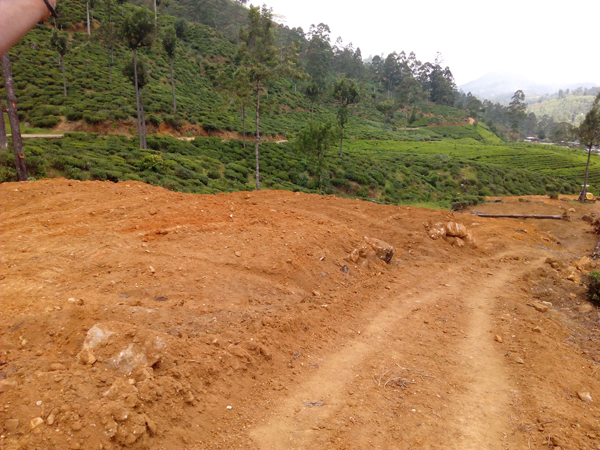 There are about 244,500 families and a population of 966,700 living in the plantation sector in Sri Lanka. Small attached houses called ‘line rooms’, constructed during the British period, are the common form of houses in these areas. Line rooms numbering about 160,000 in the estates are now in a statof disrepair. Provision of adequate shelter with basic needs and access to healthcare are key factors that influence worker families to remain in the estates, ultimately leading to increased productivity. 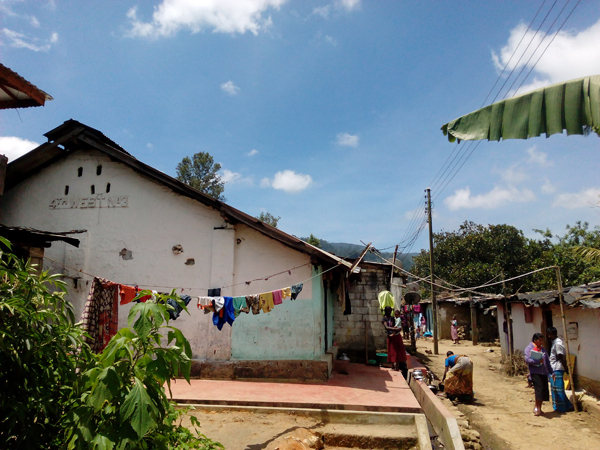 During the past two decades, the Government of Sri Lanka (GoSL) has provided approximately 25,000 individual houses and some water and sanitation projects to uplift the living standards of these communities. There is a clear requirement for housing in the plantation sector to address the large outstanding need. This Project, aimed at constructing 4,000 housing units in the Central and Uva Provinces of Sri Lanka, is part of the overall commitment of 50,000 houses by the Government of India (GoI). The Project aims to contribute to the sustainable resettlement of plantation worker families in newly created cluster villages or small townships. This Project is implemented under the parameters of the Memorandum of Understanding between the GoI and the GoSL. To implement this Project, the Government of India has appointed the same Implementing Agencies (IAs) that worked in the construction of 43,000 housing units in the Northern and Eastern Provinces: The International Federation of Red Cross and Red Crescent Societies (IFRC) in partnership with Sri Lanka Red Cross Society (SLRCS), United Nations Human Settlements Programme (UN-Habitat), National Housing Development Authority (NHDA) and Habitat for Humanity Sri Lanka (HfHSL). This Project envisages construction of new houses, with the involvement of owner-beneficiaries and Estate Workers’ Housing Cooperative Societies (EWHCS). The project is divided into three phases: the first phase is a pilot to test the implementation strategy constructing 1,134 housing units. The Project aims to construct new houses through a peoples’ process with the participation of worker families. 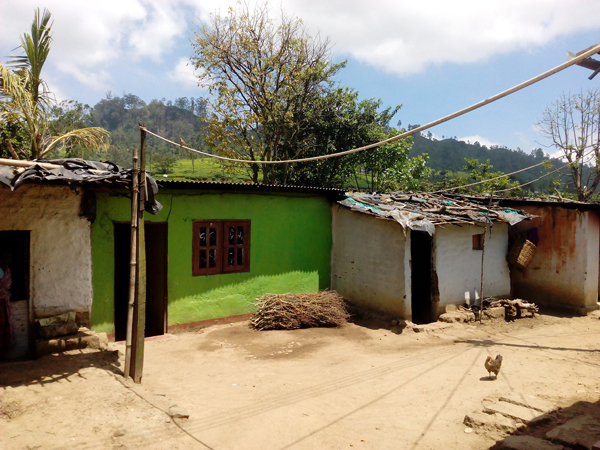 UN-Habitat will support the construction of up to 1,600 houses in Nuwara Eliya District. The project will implemented in close collaboration with Government of Sri Lanka, High Commission of India, Implementing Agencies, Plantation Human Development Trust (PHDT), respective Regional Plantation Companies (RPC) and the Estate Worker Housing Cooperative Societies (EWHCS) of the selected estates. The Ministry of Hill Country New Villages, Infrastructure and Community Development (The Ministry) will represent the Government of Sri Lanka in this project. The Ministry will serve as the lead agency for the project and is responsible for the overall coordination, guidance and support for all partners. It will also provide funds for infrastructure facilities such as water supply, electricity, soil conservation and drainage and guide the PHDT in their implementation. The High Commission of India will provide the funds for housing construction in installments to EWHCs and also provide overall supervision of the project in collaboration with the Ministry. The PHDT and RPCs will assist the Ministry in selecting suitable land for creating new plantation villages. The PHDT will coordinate with RPCs and EWHCSs in the facilitation of individual beneficiary families. In addition, the PHDT will be responsible for obtaining approvals from the relevant authorities such as Local Authorities, Urban Development Authority and National Building Research Organisation. The PHDT will also coordinate the implementation of other infrastructure development activities with funding from the Ministry. The RPCs will provide approval to release the lands in their estates for housing construction. RPCs will also attend to preliminary work, conduct surveys, prepare the land and provide water and electricity during the construction period. The RPCs will select beneficiaries according to the selection criteria in consultation with the Implementing Agencies and assist the EWHCS to implement the project. The EWHCS will assist the RPCs in selecting beneficiaries and organize construction work with the assistance of IAs. Cash grants of LKR. 950,000 will be channeled through the EWHCS to each beneficiary in four instalments. The house will be a minimum of 550 square feet, consisting of two bedrooms, a living room, a kitchen and a toilet. The beneficiaries will have the flexibility to expand the houses after the completion of the basic house constructed under the project. Beneficiaries can also provide in-kind contributions of labour and building materials towards the construction effort in order to save costs. To construct the housing units, the IA will supervise, coordinate, monitor and support each stage of construction with detailed technical specifications. The community and others involved in the project will be guided on the basics of construction. Support by IAs will include basic technical awareness in construction and skill training.